If we want to find the left eigenvector associated with the eigenvalue 5, then we find the eigenvector . (-1 1 -1) & (1 1 1) respectively. left eigenvalue = right eigenvalue. So we just simply call eigenvalue for short. 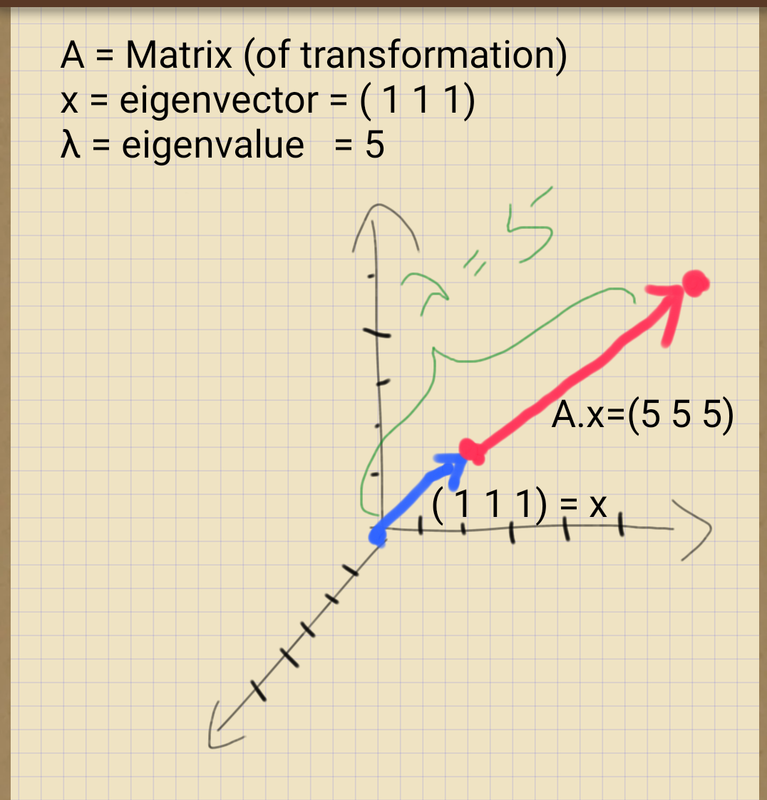 Remark 2: Intuitive explanation of eigenvector and eigenvalue.